3ft. 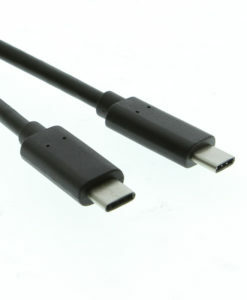 Black USB 3.1 Gen1 device cable with Type-C reversible connector to Type-B for use with USB printers, USB 3.0 Hubs, or the devices that USB USB 3.0 Type-B connections. 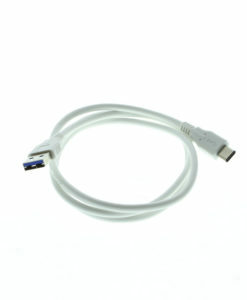 The 36 inch cable supports Type-C USB 3.1 host PC or laptop connections for 5Gbps data transfers with its reversible connector. 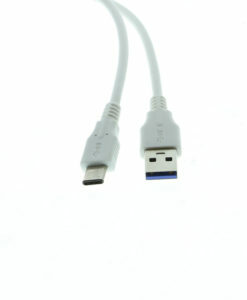 Connects to USB 3.0 printers or USB 3.0 hubs for Super-Speed transmission between computer and device. 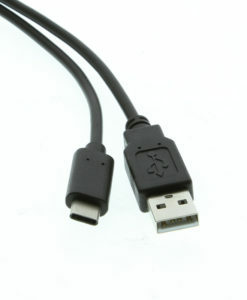 USB 3.1 note: USB 3.1 Generation 1 (Gen1) is the specification renamed from USB 3.0 because of minor changes to the original documentation and is still supportive of 5Gbps data speeds.